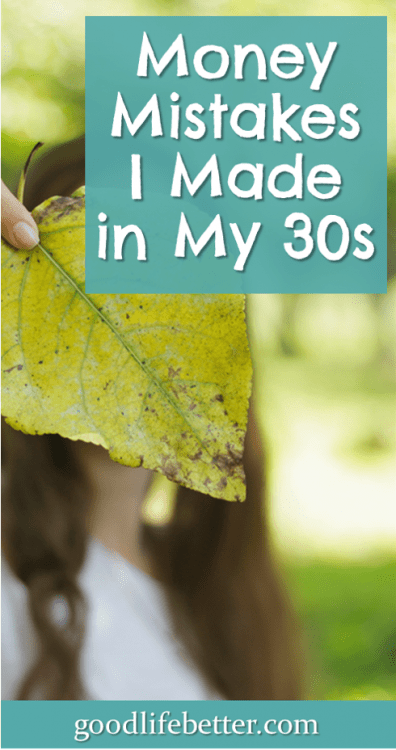 Money Mistakes I Made in My 30's | Good Life. Better. As shared in a previous post, Life Without Money Worries, it wasn’t until 2014 that I finally started really engaging with my money. I hadn’t done everything wrong with my finances up to that point, thankfully, but the situation definitely could have been rosier. At the time, I had just turned 41 and the future weighed heavily on me—was I ever going to stop feeling anxious about money? Would I ever be able to retire? If I needed to, was I in a position to help my family? I tried not to obsess over the mistakes I had made along the way and to focus instead on the future and doing the next, best thing. Flash forward four years and I’m amazed by how much has changed. I’ve paid off my non-mortgage debt, doubled my net worth, and gotten several promotions which boosted my pay. I’ve even started a side hustle and this blog! There is a little bittersweet in all of this, however. Despite my best effort to squelch it, I can’t help but wonder what my life would be like now if I had started engaging with my money a few years earlier. 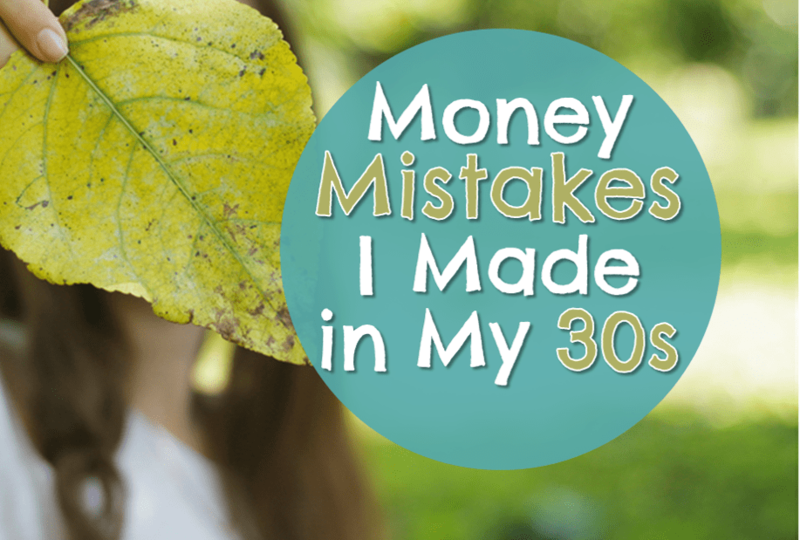 Where would I be if I hadn’t made these money mistakes? Since I don’t have a time machine I can use to go back and fix things, I’ve decided to write about my mistakes in the hopes of helping others take action sooner. When I decided to go to law school when I was 32, I thought I was being responsible when it came to taking on student loan debt: I had already paid off my debt from undergrad and planned to borrow only what I needed to cover tuition costs (so nothing for fees, books, or parking). What did not occur to me was that I didn’t have to take out student loans at all. Paying for tuition as I went would have been tough but doable. And it wasn’t as if I had a lot of time to spend money on things while I was working full-time and going to law-school part-time. (Just thinking about this missed opportunity makes me grind my teeth). If you are thinking about going back to school, please consider cash-flowing your degree. Or heck, figure out a way to get what you want without going back to school at all. You may be surprised with what you can make happen! 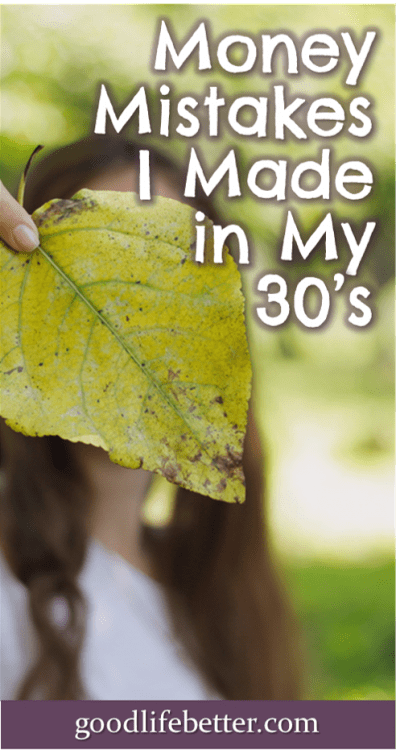 I got promoted a lot in my 30’s. Which is great, of course—I’m not complaining. But while my pay nearly tripled during that time, my savings rate increased by a measly 2 percent, from 10% to 12%. What the hell was I thinking? I managed to save 10% when I was making $35,000 a year but no more than 12% when I was making $90,000? The only way I can explain this is that a lot of the personal finance information I had read up to that point recommended saving 10% which made me feel like I was killing it by saving even more. News flash: all I was killing was my chance to retire even earlier. Given that I wasn’t saving it (see Mistake #2), you would think at a minimum I would have been using the salary increases to pay off my debt as fast as I could. But nope, I wasn’t. I financed my car with a six-year loan. I was on the 25 year student loan repayment plan. And I was content with revolving credit card debt hovering around $6,000. This explains why, when I finally decided to get out of non-mortgage debt in January of 2017, I still had almost $60,000 to pay off. Well, as I noted above, I don’t have a time machine to go back and change things so I didn’t waste thousands of dollars on interest on my debt, so I am just going to have to let it go. It may have taken way longer than it should have, but at least the debt is gone now. So, if I wasn’t saving it or using it to pay down my debt, what happened to it? Well, I think it went for the “necessities” that befit my new status. And for meals that helped me wind down from a rough day at work. And even for some new furniture I could sit on as chilled out watching shows on a new TV. Basically, it just went. What I know now is that the accumulation of these smaller purchases can be as detrimental to your budget as buying that one extravagant handbag or taking that pricey cruise. They might even be worse because you’re unlikely to take a cruise several times a year whereas you may not think twice about spending enough each quarter at restaurants to cover a nice vacation. I know I didn’t. Fortunately, with the help of a spending fast in the summer of 2016 and my decision to get out of debt in January 2017, I have been able to regain control of my spending. Does this mean I am super frugal and never eat out? No. But it does mean I am more mindful about my spending, telling my money what to do instead of letting it slip through my fingers. Seeing these regrets in black and white makes me want to do some sort of cleansing ritual, like write them on a piece of paper and set it on fire, or to stick it in a bottle to send out to sea (which I would never do because that’s too much like littering). Maybe such a ritual isn’t necessary, however. Maybe my actions since 2014 have already served to wipe the slate clean. Yes, my finances would likely be in even better shape if I had not made these mistake but I can’t know for certain. All I can do is identify the next, best action I can take. What regrets do you have? What is your next, best decision? Let me know in the comment section below. Okay, I probably did make every money mistake imageable! However, at 45 I am now 100% debt free, investing/saving at a high rate and writing about it. Yeah, when I first learned about FI and heard of all the young people crushing it, I was a little discouraged. However, I am so glad I took the attitude that it’s not too late to start! Thank for sharing your turn around. 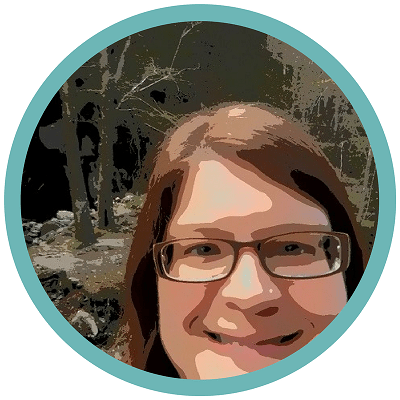 I know what you mean–compared to some of the other financial independence bloggers I am a decade (or more) older but like you said, the critical thing is to get started. We’ve both made so much progress and have a lot to teach our readers. Congrats on your achievements! I was guilty of #4 for quite a long time. It was just so easy to get carried away and spend money when you’re making more, most especially when you’re young. Really learned my lesson. That’s great that you learned that lesson–it’s a hard one but I think critical to building wealth!